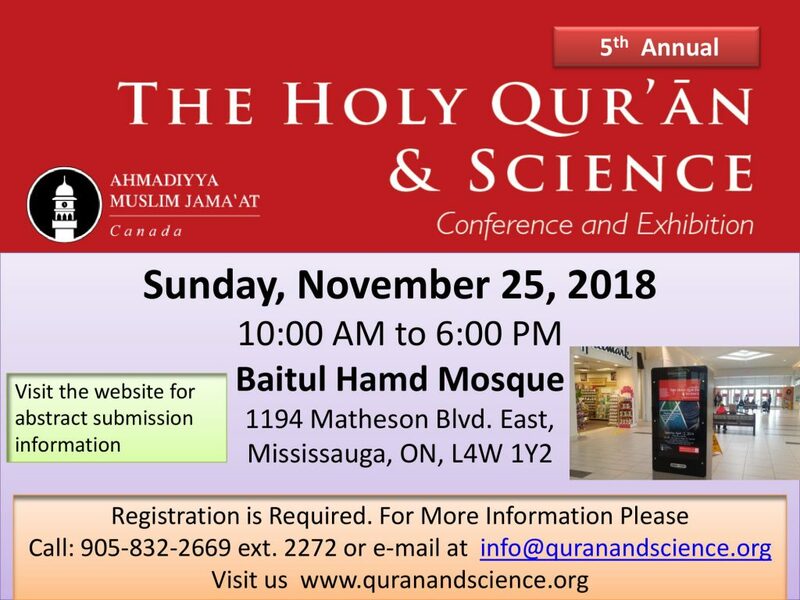 The 4th Annual Holy Quran & Science Conference and Exhibition will be held on Sunday November 25, 2018 at Baitul Hamd Mosque, Mississauga, ON.. Please submit your abstract for 2018 conference by using the form below. Conference has an oral and poster listing. When submitting your abstract in the system, please take care to choose the correct listing.